Welcome to chuckcrowe.com, the official website of the Chuck Crowe- Singer/Songwriter. If you were looking for the official website of Chuck Crow the New York financial analyst you've made a horribly wrong turn... but you're still welcome to visit. Thank you for stopping by!! I've been a live performer for over 40 years. I've done recording sessions and played in bars, coffee houses, concert halls, and stadiums. I've been sideman for many of Los Angeles and Orange County's favorite Pop, Folk, and Rock artists. In March of 2002 I began a quest to branch out on my own, writing with an acoustic style similar to the Eagles, Poco, or America. You can hear some of my music on my Songs pages or see the Links page for a fast-track to Facebook, iTunes, CDBaby and more! 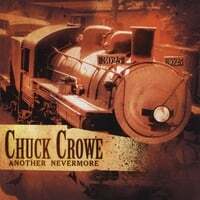 You can also click on the "Another Nevermore" album cover below to purchase tracks. These days I am touring the country with my acoustic duo The Status Crowes. Please check the Calendar link for all show details. Need music for your party or corporate event? We can handle that. Please get in touch with me on my contact page. The Status Crowes currently has more than 1,300 cover songs on the song list. We cover Rock, Pop, Folk, and Country from the 60s all the way up to today. We fit just about anywhere, AND we go great with beer, wine, soda or whatever else you've got! I am endorsed by Breezy Ridge Musical Instruments, G7th capos, Fusion gig bags, OnSong music app, AirTurn Bluetooth pedals, and GHS/Rocktron. I am also a member of the Grammys, BMI, TAXI, Just Plain Folks Songwriting Network , South Bay Music Scene, and L.A. Music Scene.